Castle Combe Colts have ensured that matchdays at the club’s home ground will be a safer experience for young footballers and spectators alike. 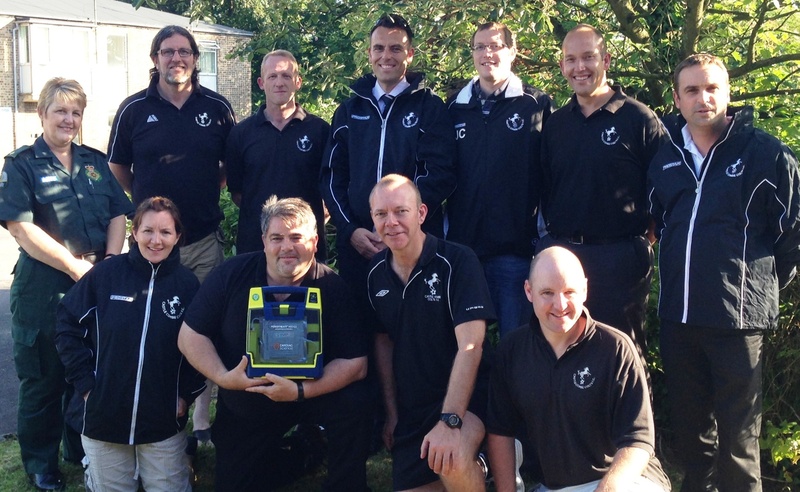 Colts, whose 300-strong membership includes children aged from four to 18, raised money for and installed a defibrillator at their Upper Castle Combe headquarters after learning of the cardiac arrest suffered by Bradford Town’s Quinton Barham during an under-14s match last year. Trowbridge teenager Quinton was playing in the Mid-Wilts Youth & Minor League - in which a number of Colts teams also participate – at the time and made a miracle recovery following heart bypass surgery. Having raised more than £1,000 by helping to marshal one of Castle Combe Circuit’s monthly car boot sales last year, Colts were the first organisation to commit the subsidised funds and take delivery of the life-saving technology after the South Western Ambulance Service Trust initiated a scheme in March 2014. They were tipped off about the project - which has since delivered a further 110 machines across the country - by Alison Butler of the Chippenham Area Partnership. Colts secretary Trevor Newman said: “We felt we needed to make the significant investment following the incident involving a young player in the same youth league that the Colts play in. Last week, 12 coaches and committee members from the club underwent training delivered by the South Western Ambulance Service Trust at Chippenham’s ambulance station, again the first to do so under the scheme. It was carried out by Julia Doel and David Wilmot, whose support throughout the process has been invaluable to the club. 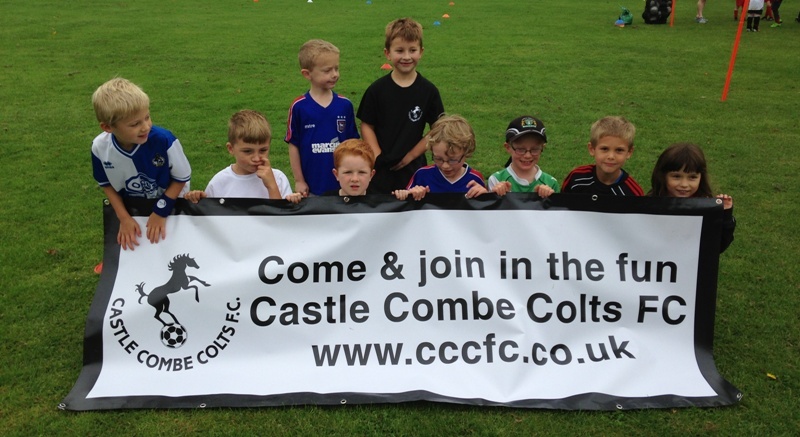 Castle Combe Colts FC has the absolute pleasure of inviting teams to participate in our 2014 summer festival of soccer and tournament, to be held at Castle Combe Sportsfield from June 27th-29th. Every year the event grows and we do not think we can fit any more in - but we do! Last year however, we think we hit our maximum so would encourage you all to book early to avoid disappointment. NB: Please note age group day allocation may be subject to change. Please download the invite and entry form below for more information and use one entry form per age group. We would love you to join us in our celebration of the beautiful game and look forward to hearing from you in due course. This has been won by all who represent our club - coaches, players, supporters and parents -WELL DONE TO YOU ALL. There is a £250 award with the certificate, which happily finishes off our fundraising for the defibrillator. This vital piece of equipment will now be purchased and installed in the clubhouse at Castle Combe Sportsfield. It is easy to talk about an ethos - it's more difficult to display that ethos daily by the way we behave and act. We are delighted to announce that local drylining and plastering experts P&E Board from Calne have chosen to partner with the Colts and purchase on our behalf a brand new strip for the U11 Whites. When all of the squad are fit and healthy (!) we will have a full squad photo - in the meantime a couple of senior players, Joe Newman and Archie Newman, model the strip (below). Many many thanks to our friends at P&E Board - you now all know who to contact if you have a wall to finish. Now we are all back into the school swing of things, CCCFC is embarking upon an annual round of recruitment. Training takes place inside for the winter months (october-march). For example - MiniKickers sessions are held on Saturday between 9 & 10am at Sheldon Sportshall. We are an inclusive, FA Charter Standard club, focussing on progression through fun and positivity. Contact the chairman via the Contact Us page on this website and he will be able to give you more information on fees and training times etc. Two of Castle Combe Colts’ youngest teams were among the prize-winners when the club staged its biggest tournament yet last weekend. More than 1,200 youth footballers converged on the village’s sportsfield across three days as 186 teams from under-6s to 18s showcased their skills in the sunshine. The oldest age group kicked off proceedings on Friday night, with Melksham United taking the honours. Swindon Rangers were victorious in two categories, while the host club’s under-7s and 8s both scooped the fair play honours after receiving the highest sportsmanship marks from the event’s refereeing team. Proud Colts chairman Trevor Newman said: "We are so lucky to have the facilities we have. They seem to make us a destination of choice when our colleague clubs are choosing which tournaments to enter – and the weather certainly helped as well. “However, I think it is our committee and hard-working volunteers - the lifeblood of the club - and the way they do things that provide such a positive and pleasant experience for those that visit us on an annual basis. 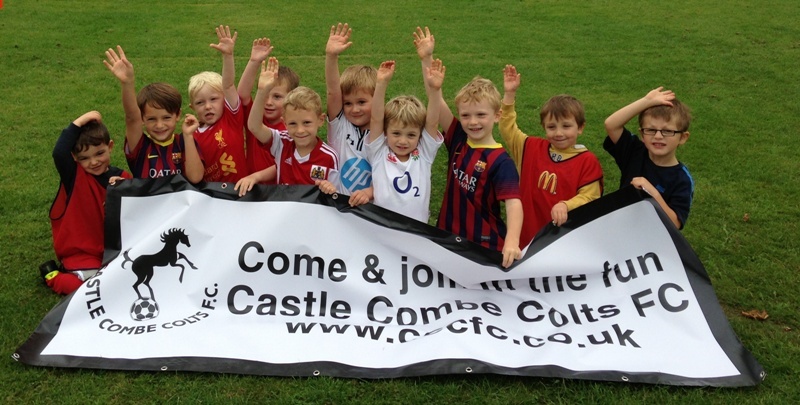 Under-7s: Fair play – Castle Combe Colts Stripes. 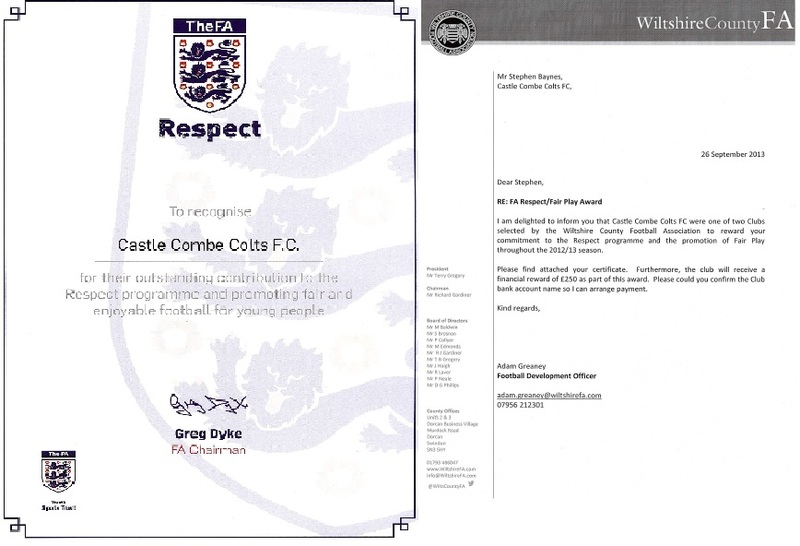 Under-8s: Fair play – Castle Combe Colts Whites. Under-9s: Winners – FC Calne Pumas, runners-up – FC Chippenham A.
Under-10s: Winners – Croft Juniors, runners-up – Bath Arsenal Tigers. Under-11s: Winners – Swindon Rangers B, runners-up – Swindon Rangers A.
Under-12s: Winners – Swindon Rangers, runners-up – Trowbridge Town Orange. Under-13s: Winners – Yate United Whites, runners-up – Trowbridge Town A.
Under-14s: Winners – AFC Corsham, runners-up – Brinkworth Cats. 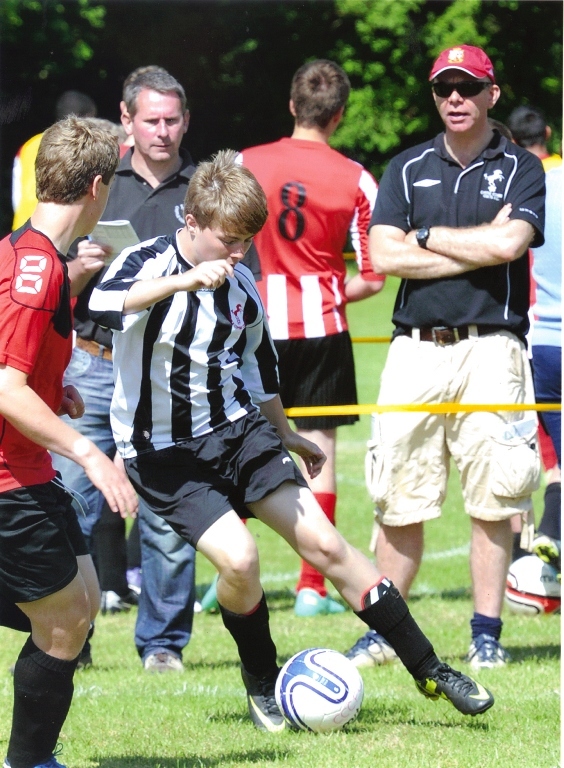 Under-15s: Winners – Didcot Town, runners-up – Devizes Town Stripes. Under-16s: Winners – FC Abbey Meads, runners-up – AFC Corsham. Under-18s: Winners – Melksham United, runners-up – Calne.